What a better way to spend a morning or afternoon creating your own jewellery From just £20 per person you can make jewellery to take home. 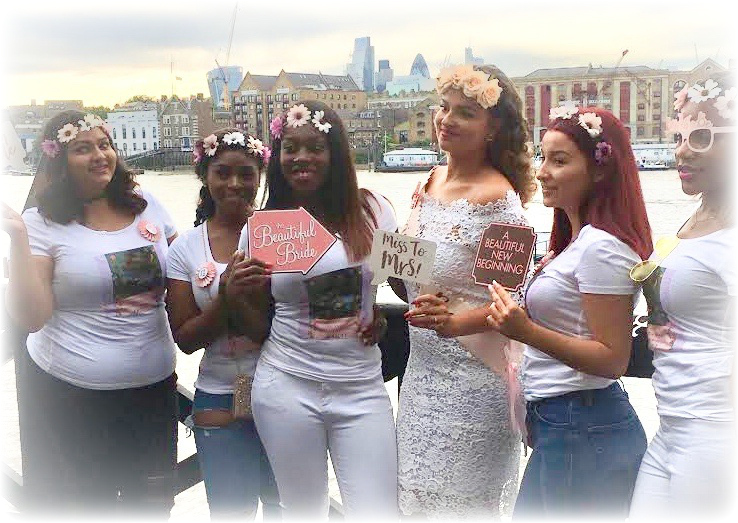 Hen parties can be held at a location or venue of your choice. Our jewellery making hen party activity lasts for approx 2 to 3 hours depending on the package. During this time, you and your hens will make a selection of beaded jewellery including bracelets, necklaces, earrings. We bring a wide range of beads, charms and other, to give you the best choice to make your own beautiful jewellery. All beads and materials are included in the cost of the workshop, and there’s no limit to what you can make during the day! We look forward to meeting you soon and joining your special party! We cater for a variety of events, hen parties, wedding parties corporate events, fairs. We can adapt our parties to children's and teenagers packages to suit any event. For Other workshops available please contact us. Bronze – £30 per person – Using a rainbow of beads including crystal beads, you will make a three piece jewellery set; earrings, bracelet and necklace. Silver – £40 per person – Each person will use pearls, crystals and a generous scoop of beads to create a two-bar bracelet, a necklace, earrings and a key ring. Gold – £50 per person – Each person will be given a watch face, and taught how to make a beaded watch strap. They will also make earring and a necklace to match. Platinum – £60 per person – Silver charm party. During the workshop you will learn to make some fine silver charms using a wonderful medium called metal clay. You will be taken through the steps of turningthe clay into fine silver. Each person will leave with silver charms. A selection of semi precious beads will be available to make a selection of jewellery using charms. Duration of Party – 3 hours. Thank you. A member of our team willbe intouch very soon!